Teleflora sends all of its orders to local florists. Every single bouquet our hard-working local florists make is beautifully and professionally hand-arranged. When one of our local florists' hand-delivers your bouquet - it makes their day when they see the look of surprise - and joy - on your recipient's face! When a customer buys a bouquet from other online flower companies, they may be shipped in a cardboard box via UPS or FedEx. 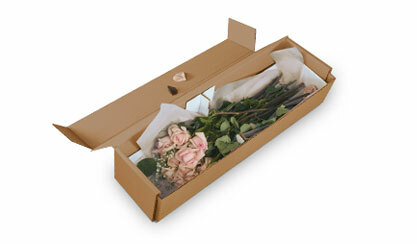 When flowers arrive in a box your recipient has to do the work of assembling their own arrangement. The stems and vase are packed separately in the box. They are tightly packed so there is lots of wrapping to undo. Your recipient will have to follow the instructions provided. First, they will have to re-cut the stems under water. Then pour warm water and the provided preservative into the vase. Then place the stems in the vase and try to arrange them. No WOW factor. No artistry. No style. And most importantly, no florist. 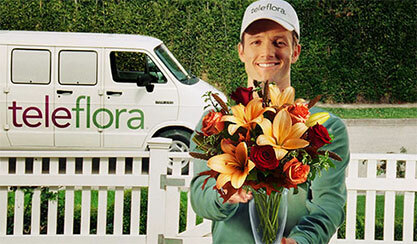 Teleflora sends all of its orders to local florists. Teleflora is committed to helping the world send its heartfelt messages, across town or across the country, through the welcome gift of flowers. By supporting local businesses we strengthen entire communities. That's the Teleflora difference!